We sent two of the top family travelers on Instagram — Happy Grey Lucky and This Little Wandering — to the Fairmont Scottsdale Princess for a weekend full of holiday moments and Instagram favorites recently. 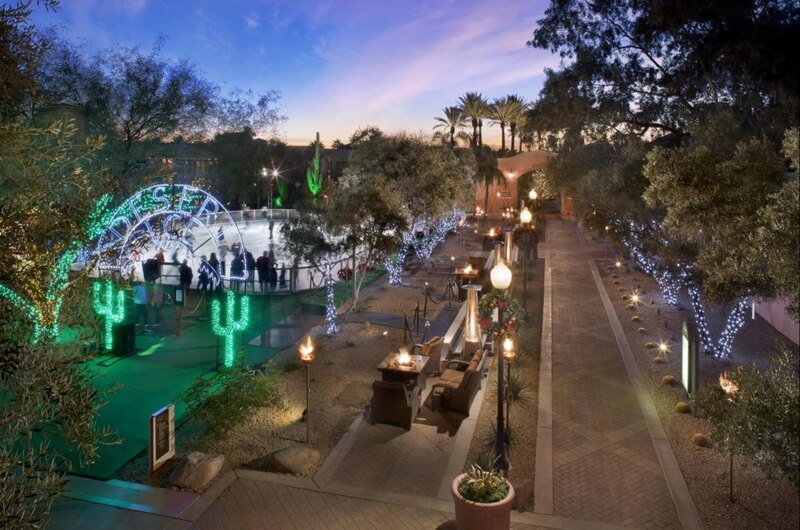 These are their top places and spaces at the Fairmont Scottsdale Princess. Sina and Kayla each stayed in the magical Santa Suite with their families. The suite, decorated by Santa’s best elves, is full decked out with Christmas trees, lights, and holiday sweets. You don’t have to spend the night to visit Kris Kringle and his elves either. Santa is happy to visit with every good boy and girl he can every evening until December 24, 2018. There are more than six different pools at the Princess, and, while we enjoy each of them, the newest one is our favorite. Opened Memorial Day Weekend, the Sunset Beach has huge pool, white sand beach and even a splash pad for the kids. Don’t forget your sunnies, baby. Don’t let its desert surroundings fool you — the Princess is delightfully cozy. Plush bath robes, spacious rooms and beautiful views are just a few ways the Fairmont staff aims to make guests (of all ages) as comfortables as possible. The motto at the Princess is, “Fun will be had from the tallest to the smallest.” It’s true! Keep the camera at the ready because every Fairmont Moment is photo worthy. 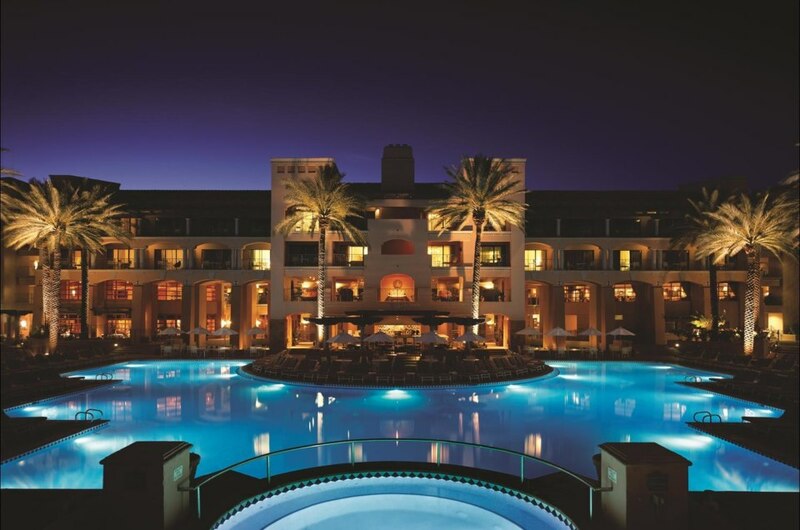 With more than 750 guest rooms and suites, the Fairmont Scottsdale Princess is a sprawling resort. What’s truly amazing about it though is that every corner is absolutely magical. 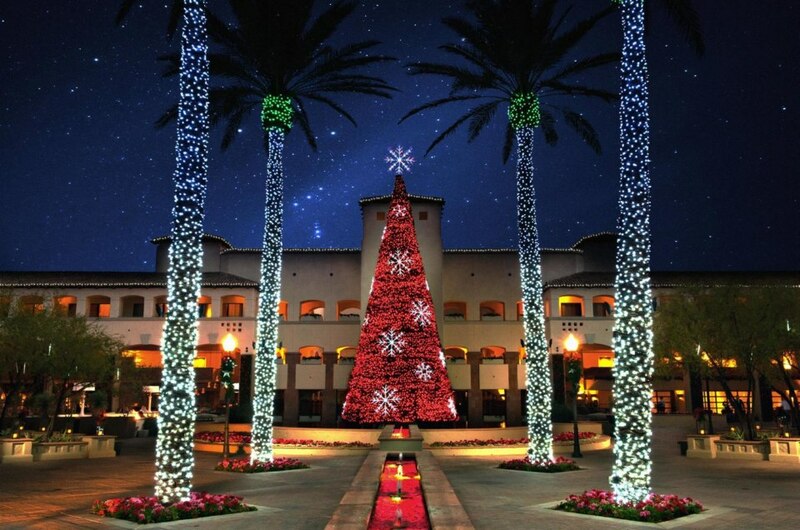 Whether you’re walking through Hacienda Plaza or tucking into a steak dinner at Bourbon Steakhouse, you’ll find the Fairmont Scottsdale Princess sparkles and shines from every angle. Ready to visit? Click here to start planning. © 2019 Travel Mindset, an Inside Out Media company. All rights reserved.